Elon Musk says the battery in South Australia will be "three times more powerful than anything else on earth" and will look like something "unearthed from the future." "The world’s largest lithium ion battery will be an important part of our energy mix, and it sends the clearest message that South Australia will be a leader [sic] renewable energy with battery storage," South Australian Premier Jay Weatherill said in a statement. "An enormous amount of work has gone in to delivering this project in such a short time." 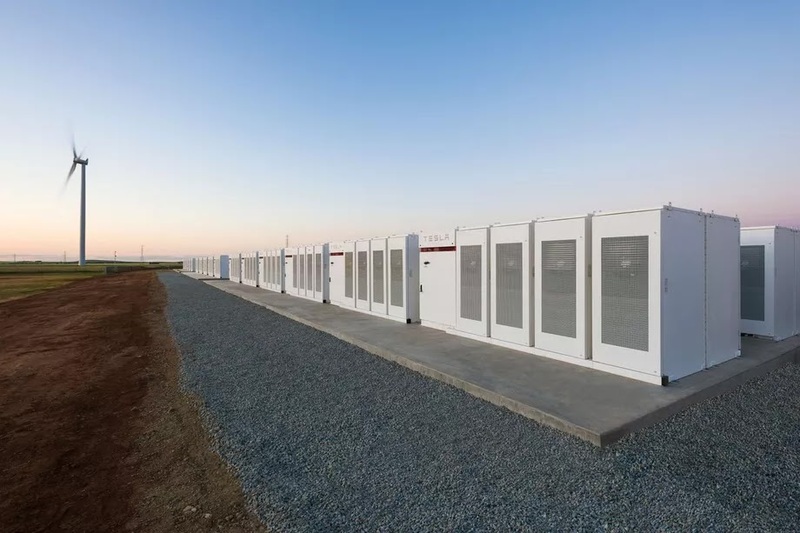 Tesla Powerpacks have been installed and connected at Neoen's Hornsdale windfarm, north of Adelaide, and battery tests will be run to ensure local regulatory requirements are met before it begins operating on December 1st. South Australia suffered a state wide blackout last September, which sparked a highly politicized national debate about energy security. The Australian Government blamed the failure of renewable energy to cover usage. Musk's battery farm stores huge amounts of energy from renewable sources like wind and solar, and funnels it out to the grid when usage is high.